I wish everyone a Happy and Healthy 2019. 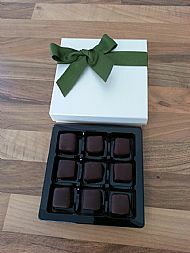 Peppermint-flavoured tablet hand-dipped in a luxurious 70% dark chocolate, presented in a beautiful gift box. 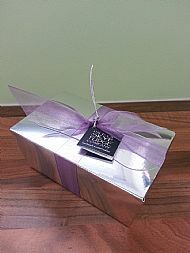 Ideal as a gift or a treat for yourself, options available are in the online shop. 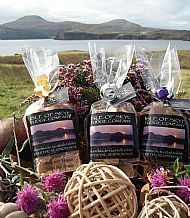 Isle of Skye Fudge Company makes this delicious traditional Scottish tablet in a small lochside kitchen on the stunning west coast of Skye, where heather clad hills and golden sunsets inspire our distinctly more-ish 'fudge'. 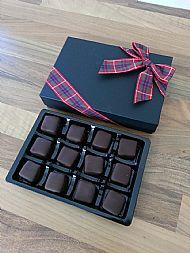 A small family run business, we pride ourselves on the quality and taste of our product, using Scottish butter and full cream condensed milk in every batch. Using a traditional family recipe, our delicious tablet is cooked slowly in open pans for a rich colour and intense depth of flavour. The firm smooth, yet slightly grainy fudge is made with sugar, pure salted butter, milk and full cream condensed milk, then freshly packed for a great natural taste. Choose 'Original' for a traditional tablet taste, or made with 'Talisker' Single Malt Whisky to capture the essence of Skye. Try with 'Drambuie', the famous Skye recipe liqueur based on the finest Scotch malt whisky with a hint of heather honey and herbs for a more subtle flavour. Latest addition to the range is Cuillin Mint Caketm available online and from Inside Out - an independent outdoor clothing and equipment retailer in the centre of Portree, Isle of Skye. © 2018 All rights reserved. 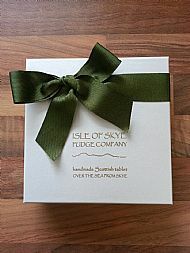 Isle of Skye Fudge Company.